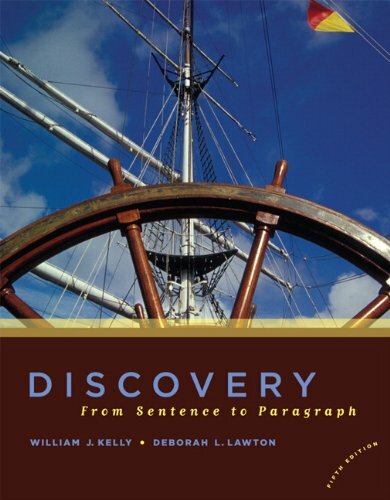 Discovery focuses on helping students build sentence- and paragraph-writing skills through self- and academic-discovery. The textbook opens with an overview of the writing process and introduces students to paragraph and essay writing. The authors then provide lucid, well-illustrated explanations of basic sentence elements, grammar, punctuation, and mechanics. The student and professional reading selections include an introduction to critical reading and comprehension and contains numerous writing exercises.